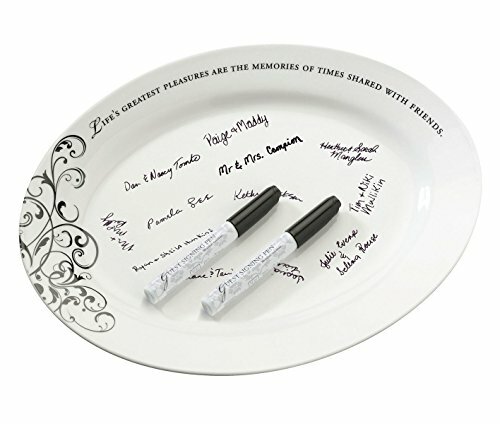 Lillian Rose 13.25"x9.75" Oval Guest Ceramic Signing Plate w/Pens. 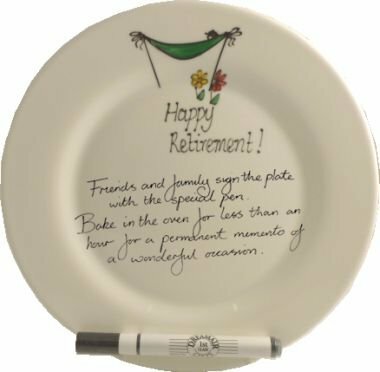 Remember those that shared the special events in your life with this ceramic keepsake signature plate -- a great alternative to guest books. 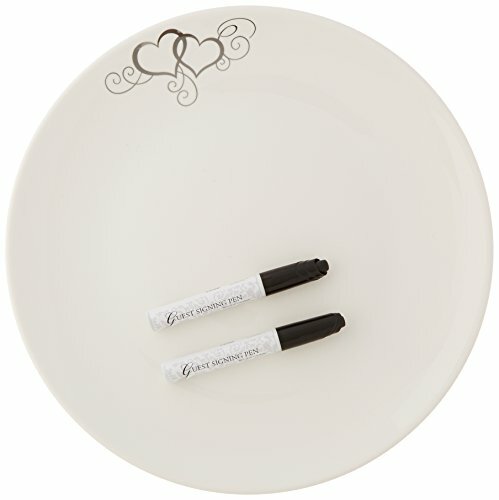 This set includes one 13.25" x 9.75" ceramic oval plate and two food-safe ceramic pens for signing. Plate is dishwasher safe. The verse on the top is written in black and reads as follows: "Life's Greatest Pleasures Are The Memories Of Times Shared With Friends.". Color: Available in white with black only. 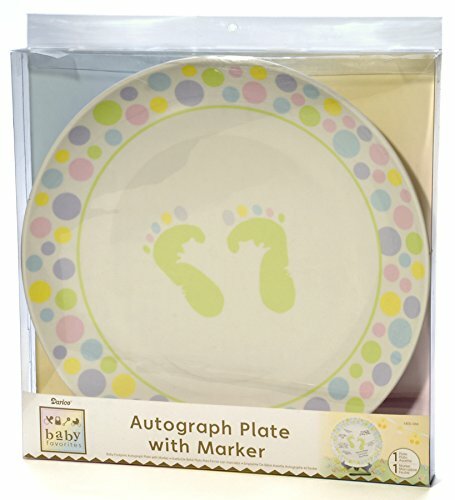 Baby shower guests will love writing a message to welcome the new baby on this cute pastel colored autograph plate. A polka dot border with baby feet in the center makes this plate perfect for welcoming a boy or a girl! Includes marker. Lillian Rose 12" Round Silver Heart Guest Signing Platter w/2 Pens. Remember those who shared the special events in your life with this ceramic keepsake signature plate -- a great alternative to guest books. 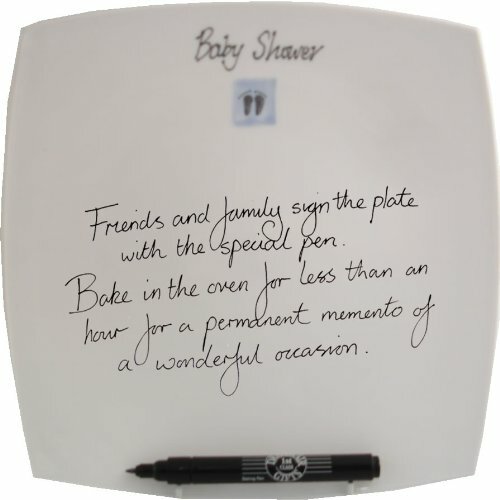 This set includes one 12" x 12" ceramic plate and two food-safe ceramic pens for signing. Plate is dishwasher safe. At the top of the plate is a metallic silver design of double hearts and scrolls. Gold plate holder in photo not included. 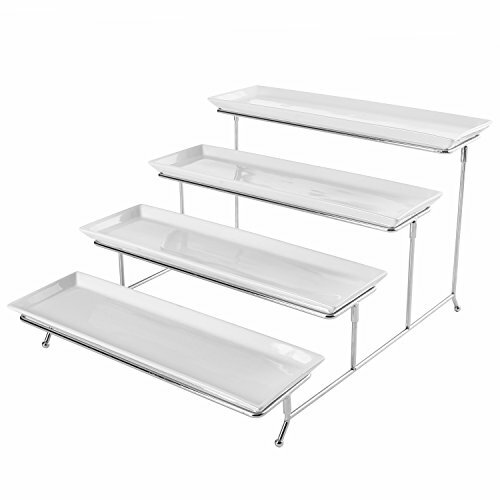 Bundle of Guest Signing Plate and Stand. Remember those that shared the special events in your life with this ceramic keepsake signature plate -- a great alternative to guest books. This set includes one 13.25" x 9.75" ceramic oval plate and two food-safe ceramic pens for signing. Plate is dishwasher safe. The verse on the top is written in black and reads as follows: "Life's Greatest Pleasures Are The Memories Of Times Shared With Friends." 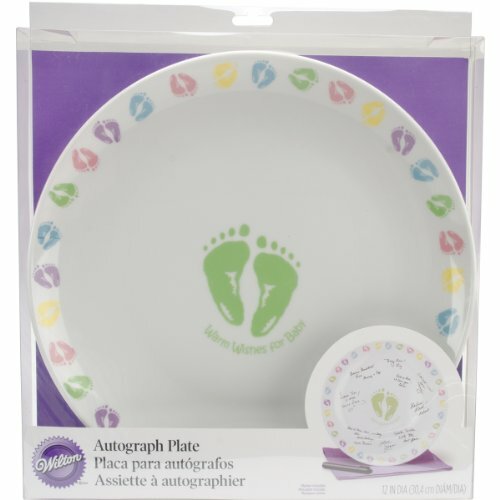 Create a wonderful memory at the baby shower as guests sign and personalize this adorable plate. Pastel Baby Feet design. This cute keepsake is a fun addition to display in baby's room. 12 inch diameter. Decorative plate. Not intended for food use. Pack of 6 White and Gold "Congratulations" Floral Autograph Plate 12"